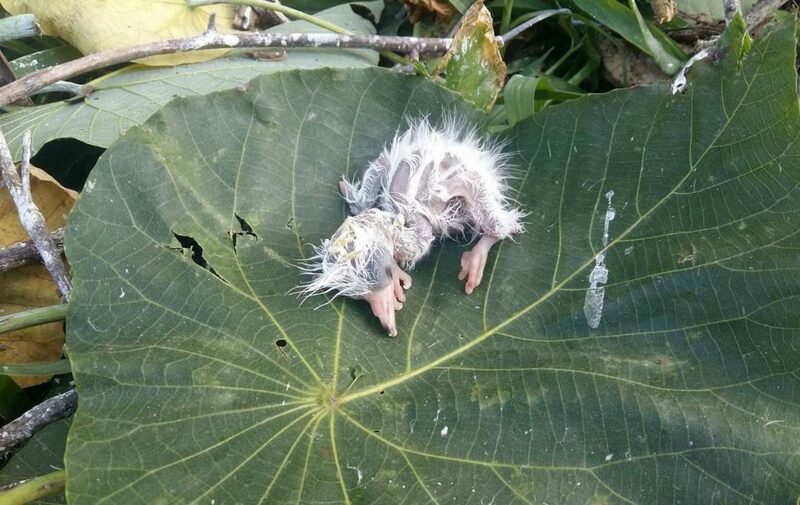 The Kadoorie Farm and Botanic Garden released on Thursday three young egrets that were injured during a government tree pruning incident that left dozens of baby birds dead or injured. 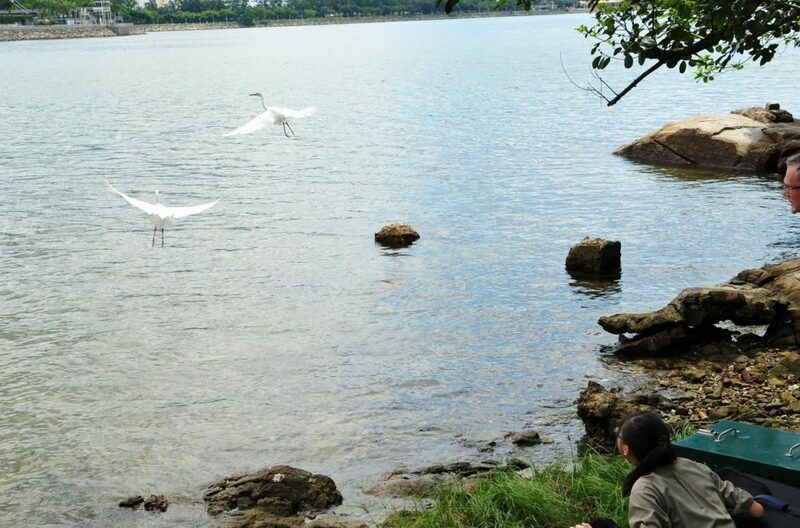 Last month, the Leisure and Cultural Services Department (LCSD) came under fire after its tree team insisted on pruning trees at the protected Tai Po Egretry, despite objections from passers-by who told the workers that herons and egrets were nesting there. A baby bird fell to the ground. Photo: Tai Po resident/HKBWS. Shortly after the incident, several baby birds were killed. 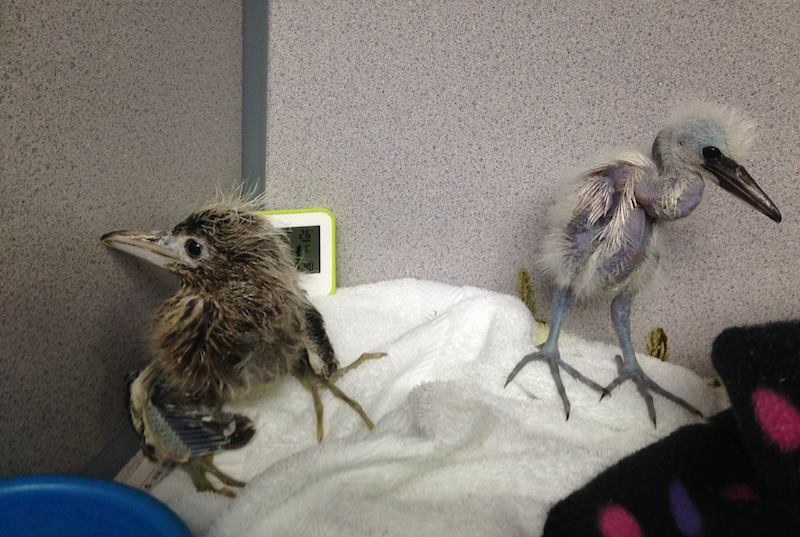 A total of 29 young birds were sent to Kadoorie Farm for rescue efforts. The species included Chinese Pond Heron, Black-capped Night Heron, Little Egret and Great Egret. “The birds were presented with a wide range of conditions including broken bones, dehydration, feather damage and tissue bruising. Some of them were suffering from hunger as a result of being separated from their caring parents,” the farm said in a statement on Thursday. It said only eight of the rescued birds remained alive. Of the eight surviving birds, three Little Egrets were released into the wild in Yuen Chau Tsai, Taipo on Thursday. Kadoorie Farm said two of them suffered from air sac rupture but had fully recovered by Thursday. Kadoorie Farm released three egrets in Yuen Chau Tsai. Photo: Kadoorie Farm, via Facebook. It said they chose to release the egrets at the feeding site in Yuen Chau Tsai rather than their nesting site at Tai Po Egretry because it is necessary for the young egrets – separated from their parents – to join the existing population of egrets there and learn survival skills from them. It said the young egrets will later follow other egrets to return to the Tai Po Egretry, which provides shelter to the birds. The society’s conservation officer Woo Ming-chuan told HKFP that the society was “disappointed and sad” over the death of the young egrets. 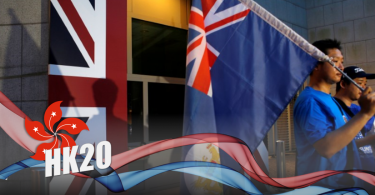 The society has been working with the relevant government departments to ensure similar incidents will not happen again. On Thursday, Kadoorie Farm maintained that the tree pruners’ action was “illegal.” In Hong Kong, the Wild Animals Protection Ordinance criminalises behaviour that disturbs wild birds or destroys their nests and eggs. Kadoorie Farm released three egrets. Photo: Kadoorie Farm, via Facebook. LCSD Assistant Director Alice Heung previously admitted that her department does not have guidelines on how to handle situations where wild birds may be affected by tree trimming work. She promised to meet environmental groups to set up new guidelines. But she declined to comment on whether anyone would be held accountable for the incident. Two baby birds under Kadoorie Farm’s care. Photo: Kadoorie Farm, via Facebook. Critics have criticised the LCSD and its workers for their “lack of common sense” throughout the incident. 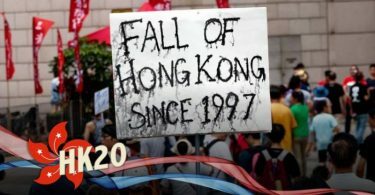 More than 3,900 people have signed a petition organised by NGO Eco-Education and Resources Centre demanding accountability and an explanation from LCSD. The Hong Kong Bird Watching Society said last Friday that it received a reply from the Agriculture, Fisheries and Conservation Department saying it was investigating the incident, but it said the LCSD had yet to give an update since its assistant director spoke. The government listed the Tai Po Egretry as a Site of Special Scientific Interest in 1994. It is home to 151 nests of several egret species and night herons, according to the Hong Kong Bird Watching Society.